How safe is the air we breathe indoors? Air pollution is commonly associated with the outdoors. Truth is, the air inside homes, offices and other buildings is often more polluted. On average, 90% of time is spent indoors, where the amount of air pollutants can rise up to five times higher than outside. In closed environments, particles, chemicals and other harmful compounds are continuously released into the air. How is our indoor environment polluted? Paint, varnish, adhesives, wallboards, ceiling tiles and pressed wood as well as resins and insulation materials used for construction, release dangerous VOCs (eg. Formaldehyde, Acetaldehyde, Toluene, Pienene, Benzene). Common effects of exposure to high concentration of VOC’s include headache, and irritation to eyes and throat emerge in a short period of time. However, recent studies on prolonged exposure have shown a correlation between Formaldehyde and Leukemia as well as an increase in the risk of developing brain cancer. Cleaning fluids, disinfectants and aerosols as well as cosmetic and hobby products, release potentially dangerous VOCs. Constant and often unnecessary cleaning may produce significant indoor air pollution. The most common effects range from irritation to eyes, throat and nose, to strong headaches. In more severe cases, long term effects might arise, including damage to liver or kidneys and pathologies of the nervous system. Mold growth is primarily caused by moisture, excessive heating, and lack of ventilation. Affected structures might not show visible signs, but prolonged exposure to mold-contaminated materials has direct effects on health and increases the risk of chronic diseases. Excess humidity has been proven to be a key element for the proliferation of microorganisms or their toxins. Prolonged exposure may lead to severe effects, including respiratory infections and allergic reactions. 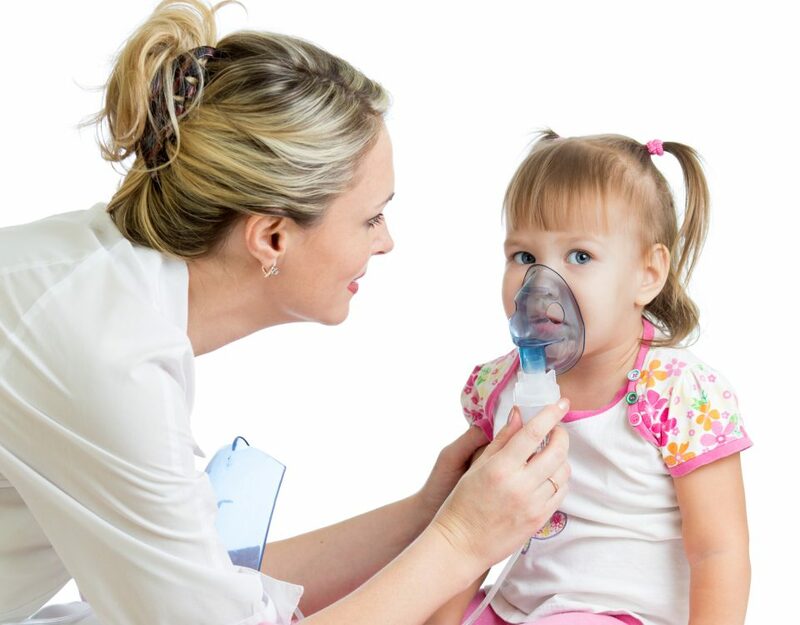 According to a recent study, in 13% of affected children, asthma is caused by environments with excessive humidity. 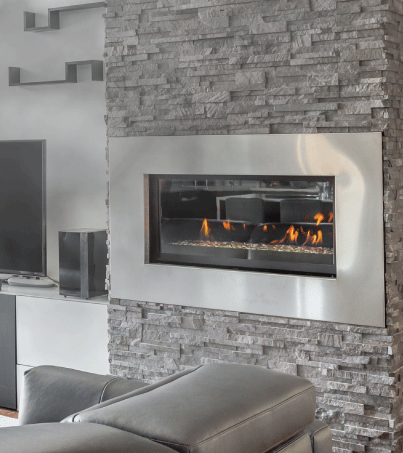 Fireplaces, stoves, boilers, and furnaces are among the most common sources of potentially harmful and toxic air pollutants, including Carbon Monoxide, Carbon Dioxide, Nitrogen Dioxide and airborne particles. Recent studies show that continuous exposure, even to low concentrations of Carbon Monoxide can, for instance increase the risks of developing asthma and may cause long lasting heart damage. During pregnancies, chronic exposure can lead to low birth weight and damage to the fetal brain. Since most time is spent inside homes, offices and public spaces, health and quality of life, are highly influenced by indoor environment pollution. Poor indoor air quality can cause short term health issues and minor consequences such as impairing concentration and decision making, sleep disorder, irritation to eyes and higher respiratory tract, as well as general discomfort and frequent headaches. Exposure to indoor air contaminants over longer periods of time is associated with chronic respiratory diseases, asthma, as well as alterations to the immune and nervous system, including an increased risk of cancer. Depending on different indoor spaces and climate conditions, this issue concerns an estimated 10% to 50% of buildings in Europe. 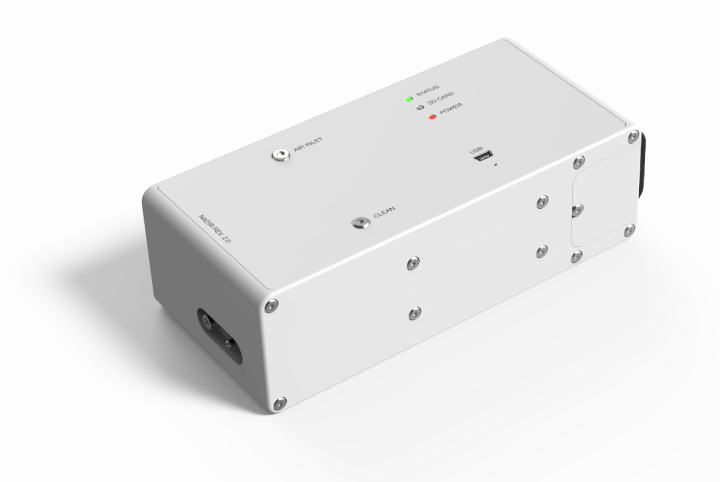 Airgloss designed a unique gas sensing technology for indoor environmental monitoring. 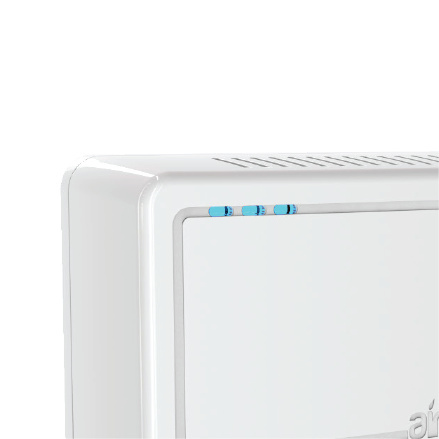 A versatile solution, suited for new generation devices with the ability to detect a wide range of airborne contaminants and automatically control HVAC and air purification systems to improve indoor air quality, energy efficiency and providing healthier living spaces. A journey from Earth to Space, and back! Airgloss MultiSensing Technology was initially developed for the safety of astronauts on the International Space Station. The first sensing units equipped with the “NADIR” technology were successfully tested in space during the STS-134 NASA Shuttle Mission in 2011. 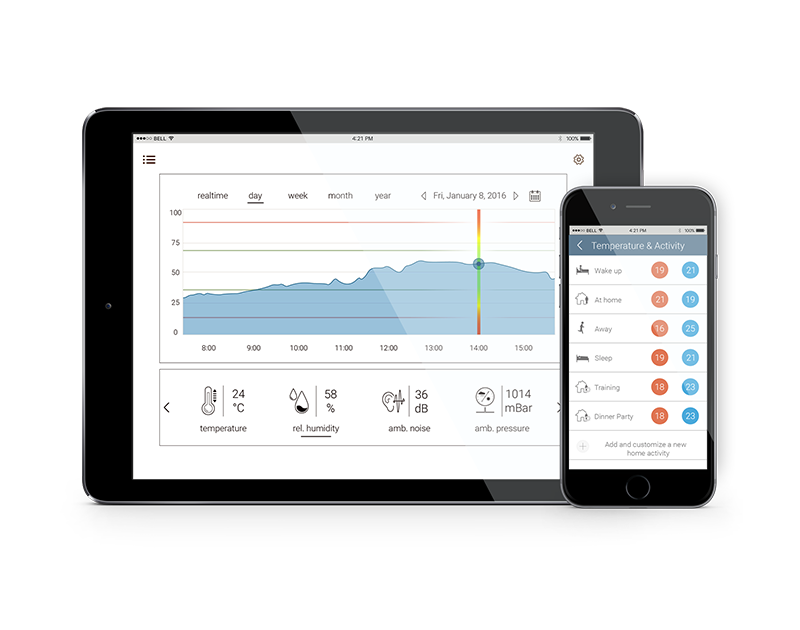 NADIR is a highly advanced sensory system for environmental monitoring. Air pollutants are detected in real time by an array of non specific, broad spectrum sensing elements that produce complex multidimensional data, then processed by artificial intelligence algorithms to accurately identify each polluting compound.This technology was used by NASA for real time monitoring of the atmosphere onboard the ISS, placing above all, the safety of astronauts. Available for integration in third party products, for all round indoor air quality management. Dedicated to HVAC and building automation, improving energy saving, comfort and productivity. 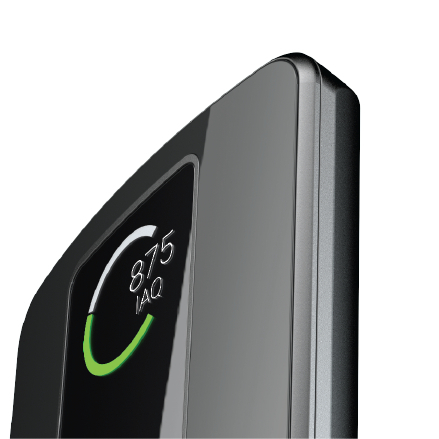 Air quality monitoring, control over heating and cooling, for a smarter and healthier home. Air quality problems are often linked to everyday household activities such as combustion while cooking or solvents and detergents for cleaning. This makes monitoring air quality an essential task to maintain a healthier home. In most workspaces, exposure to airborne pollutants is very common. Chemicals and particles from in-and outside the building as well as CO2 build up have been found to impact fatigue and decision-making. Students often find themselves in classrooms with excess heat, humidity and inadequate supplies of fresh air. 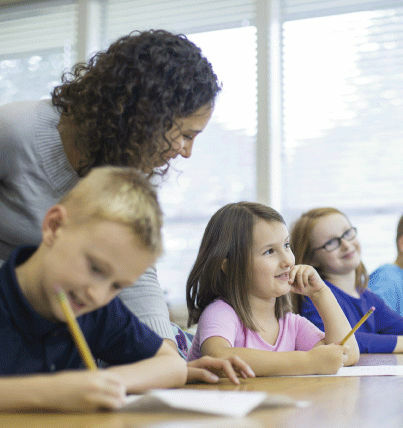 Awareness on this issue is growing as new research reveals that a better indoor environment improves health and comfort with a noticeably positive impact on learning. Good indoor air benefits health and productivity, as well as having positive effects on sleep and general wellbeing. Well balanced temperatures and humidity determine personal wellbeing and healthier indoor spaces. Appropriate light levels positively impact health, mood, productivity, sleep patterns and many other physiological aspects. Pleasant and noise free surroundings are less distracting, more comfortable and contribute to reducing stress levels. Air quality is good and parameters are well within limits. Air quality is average. Follow Airgloss tips to improve your indoor environment. Parameters exceeded limits. Exposure could now be dangerous. 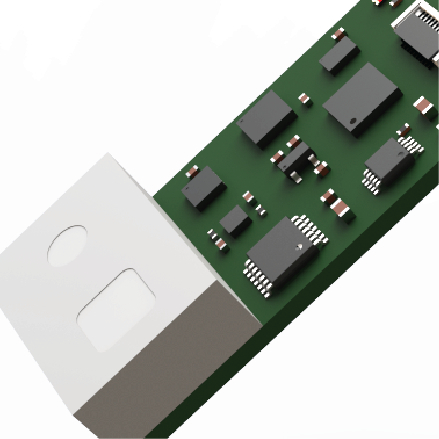 A leap from aerospace equipment to an advanced yet affordable consumer solution, achieved by developing a new generation of proprietary sensors, based on advanced MEMS technology. 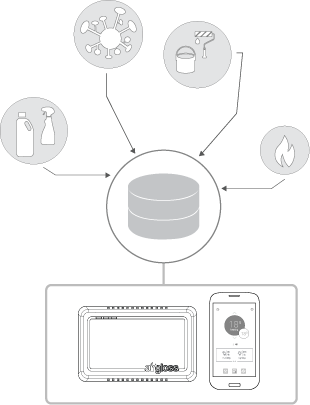 The artificial intelligence engine behind the new Airgloss Core recognizes the unique pattern characterizing each chemical compound, allowing an accurate detection of a broad range of polluting substances. An advanced solution, thought for homes, workspaces, schools and hospitals, to offer healthier indoor environments. Each airborne pollutant can be identified by its unique ‘chemical signature’. A pattern similar to a fingerprint, that is different for every person. 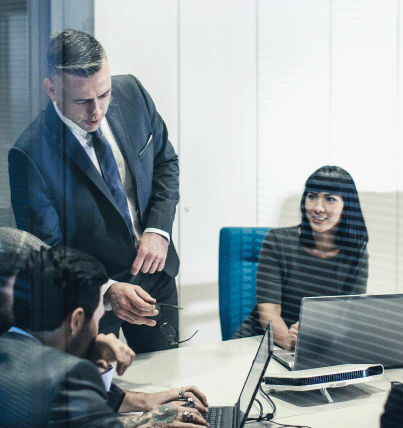 An array of sensing elements translates the collected data and an artificial intelligence algorithm then draws a comparison with known patterns present on the database. With this procedure, the embedded artificial intelligence engine can recognize a pattern that distinguishes a substance, enabling a realtime detection of a specific airborne chemical compound. The working principle is similar to that of the human nose, where olfactory receptors send electrical signals to the brain allowing recognition of known smells. A collection of milestones describing our journey, from research to launch. First launch of the Airgloss product line. First preview of the upcoming Airgloss products at the Consumer Electronics Show in Las Vegas, USA. Final tests and prototyping of the core elements and technology on which all future Airgloss products will be based on. Participation in a 2 year program, supported by the European Space Agency. 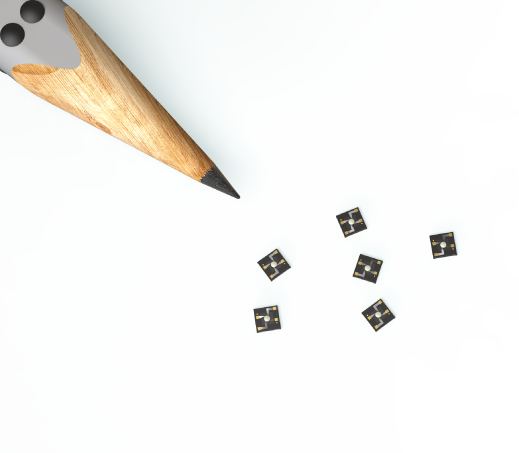 Airgloss is established as a company, aiming at producing accessible sensor technology and affordable consumer products.